Ilayaraja worked as assistant music director with G K Venkatesh for several years . That is when he discovered the talent of S Janaki , as she was singing regularly in GKV’s compositions. He determined to use S Janaki’s singing skills in his very first movie and that turned out to be a super hit (Annakilli ). From then started the musical journey of these legends together and it went to see success after success for the next two decades . 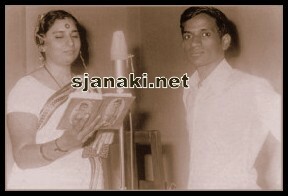 He not only composed lovely melodies to S Janaki but sang some unforgettable duets with her . We present some of the unforgettable duets of this combination here. Enjoy those melodies!! Together Janaki & IlayarajaClick Here..